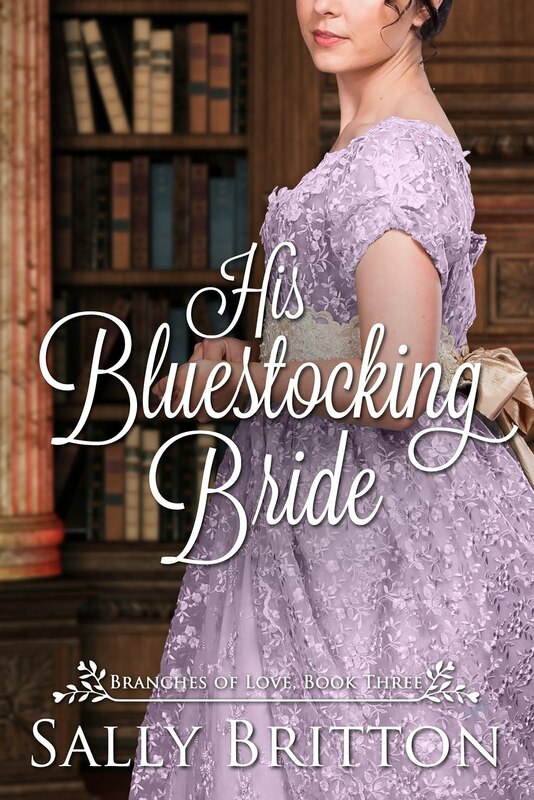 Historical Hussies: Regency Men's Clothing; pants, breeches, pantaloons, oh my! 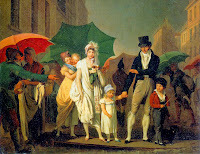 Regency Men's Clothing; pants, breeches, pantaloons, oh my! Any well-heeled gentleman knows the importance of being well-turned out, if he hopes to catch the ladies' eyes, or even be accepted among their peers. Here are what Regency Romance Novel heroes would wear, based on what they really wore in Regency England. 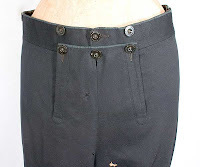 Most breeches had a front fall which is a flap that covers the front opening. Early in the era the flap was a wide fall, going all the way across from hip to hip (think of the outer seam of the pants we wear today). Later, the fall narrowed, going only from hip-bone to hip-bone. Both falls worked in exactly the same way; the waistband buttoned, usually with 2-3 buttons, then the fall closed like a bib over the otherwise open front area of the pants. Men in Regency England didn't use belts. Instead, pants of all types would have been held up by "X" crossed braces (suspenders). In England it had to do with the length of the waistcoat. When the waistcoat was long enough to cover the front of the trouser, you saw both front-fall and French fly configurations. When fashion shortened the waistcoat, the front-fall was the most popular method of closure. Personally, I don't see much difference in modesty but at the time, it mattered. Shrug. A pair of breeches, front view, close, c. 1770s. Back views of same. See how baggy it is? 1790s breeches, with a close up of the fastening which hides a pocket. These are the slimmest breeches I've ever seen, and these were made by a reenactor. See how they are still much baggier through the hip than pantaloons? These breeches are from Sense and Sensibility. 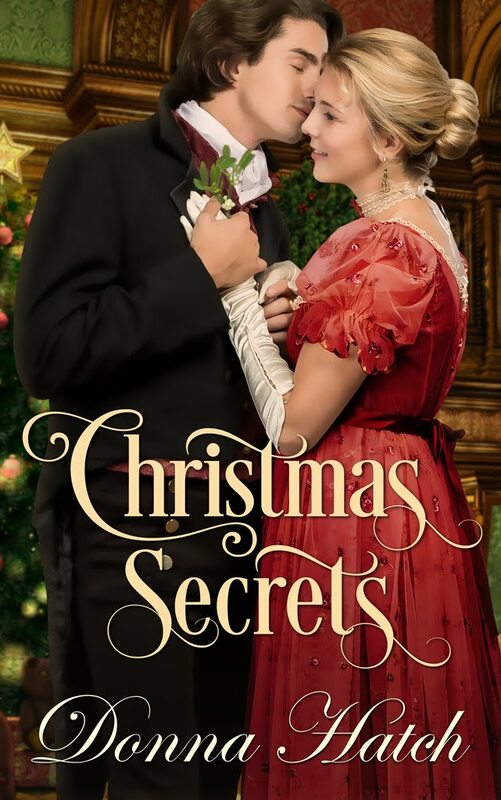 Note now baggy they are, and how the fall gapes when the man bends over; Edwards are baggier than Willoughby's, Edward being more conservative in manners and dress, so that's a nice detail. 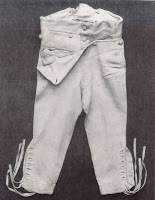 Buckskin breeches were the jeans of the 19th century. They were comfortable and generally fairly form-fitting, so in my humble opinion, flattering. This is circa 1815. In the detail shots that the waistband comes up higher than the fall, and that the knee has both buttons and ties. This one is my favorite. 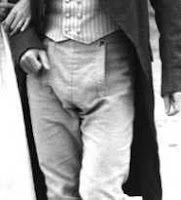 On my next post, we'll discuss pantaloons for the Regency Gentleman. 'til then! Always nice to see good pictures of men's clothes-- and men wearing them. I wonder how the satin or velvet evening breeches were tailored. Bagginess probably wouldn't be appreciated. Are there any originals extant? Paintings are useful, but there is nothing like seeing the originals. Thanks for the information! Good article. It's refreshing to see an article where a girl admits that a) girls control the dating scene and b) girls often pick guys who "know how they love underwear" rather than choose quality underwear. I can't tell you how many of my girl-friends say something to the effect of "I don't know what I saw in that jerk!" Stuff like "The Pickup Artist" works...but its because it relies on psychology and manipulation. Not something to emulate, in my opinion. Great article, very informative. I have a pair of late 18th century mens breeches for sale right now on ETSY. My user name is rayovintage, you do not find these very often! I just accros from your blog and I thought I would have to leave my first comment after reading your great article on man's cloth's design, I love it all. I had been searching for the exact breeches you described, buckskin. And it fitted so precisely because in my mind I was searching for the breeches that most easily replicated Levi's, not the baggy nor the saddle ones made of fake materials. Thank you for what you have contributed in thought and onsight. Hi, I m getting married sson and my Fiance is mad about Jane Austen and I thought it might be nice to make an effort and get a regency style jacket to wear but am having real trouble finding anything suitable. Can anyone help me track something down, preferably in a dark royal/navy blue? Thank you. Even I have the same problem with you, its so hard to find regency style jacket. Where can I find a pattern for "sailor front" long breeches? Fife & Drum in CT uniform part. I can modify if necessary. I want to congratulate you for your creation. They are looking great. Keep up the good work. These Jodhpurs are baggy from waist to knee and are tight from knee to ankle. Traditionally styled, zipper at closure, belt loops, French Fly Front and two front pockets. What type of clothing would Downeast Mainers wear to climb mountains? My female character will wear men's clothes to climb Schoodic Mountain. Any suggestions would help. Great! I recently found an amazing site for men's clothing. It's http://www.flatsevenshop.com/ and you can find very stylish stuff there! Useful article! Mens trousers online india has the best collection in casual. Why Is Everyone Named George?